We said goodbye to Miss Little Bit yesterday morning. Things took a turn for the worse on Monday night, and by Tuesday morning, we knew, it was time. A friend had told me about a veterinarian service called Lap of Love who would come to our home. I just couldn't bear the thought of having her last moments filled with any fear. There was no fear, just peace. The vet, Dr. Christina, was so loving and kind. For such a difficult situation, it could not have been handled better. I was able to be with her, and I felt her take her last breath. Loved and protected to the very end. One of my favorite pictures. I love the look of disgust. 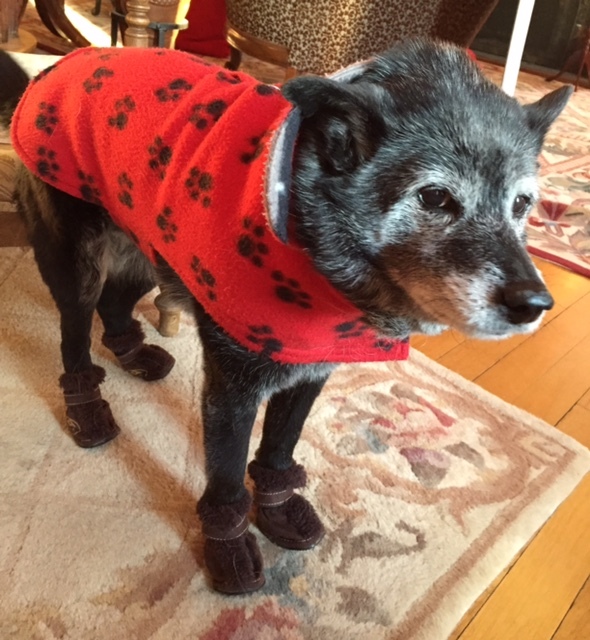 She didn't mind the coat, but she hated those boots. I had just been telling her how cute she looked and she flashed this look at me. Happy times. Hiking, one of our favorite things to do. This was taken on Thanksgiving, 2014. We hiked a trail in the Rocky Mountains of Colorado that morning. I'm a weepy mess. But, I know my tears are there because she was so loved. If only every person, and every pet could be loved as much as Little Bit, what a wonderful world it would be. I wanted to share the news, as so many of you have sent such kind words our way. From the bottom of my heart, thank you. As for now, yes, I'm hurting, my heart is broken. But in time, I think that the memories of Miss Little Bit will be so sweet. I have cherished each and every moment I have had with her. She brought so much joy and happiness into my life. A friend's good fortune is a blessing. The above quote is from the movie Seven Years In Tibet, and, one of my favorites. This could not be more true today. There's a wonderful man who lives in Barcelona, Spain. Creative, kind, and handsome, he is truly one of the last real couturiers, and master pattern makers. Social media is a buzz as Francisco Peralta, or Paco, has just released 2 beautiful patterns with Vogue Patterns. In his traditional, sleek and tailored style, Vogue 1527. While I enjoy the model pictures, it's the line drawings that I love the most. The pattern features a long jacket/coat, wrap skirt, and a tie blouse. The jacket could easily be shortened to a jacket style. So very versatile. The second pattern, and my favorite, Vogue 1526. 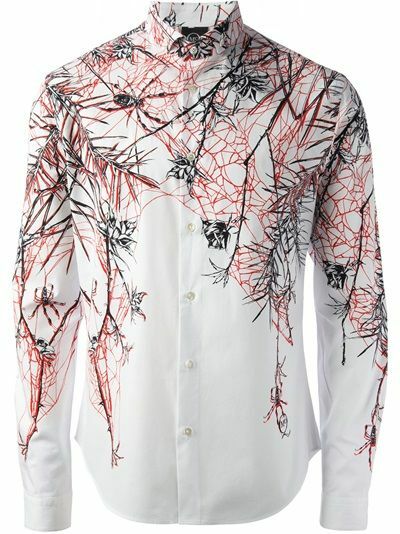 The pattern features an over-jacket which could be worn on its own, sleek straight leg pants, and a very sporty top. Take note of the in-seam buttonholes. A trademark of Paco's. He has a beautiful jacket pattern which I've made that has the same feature. You can see the Unique Jacket pattern HERE. For quite a few years, Francisco has been producing the loveliest of patterns. 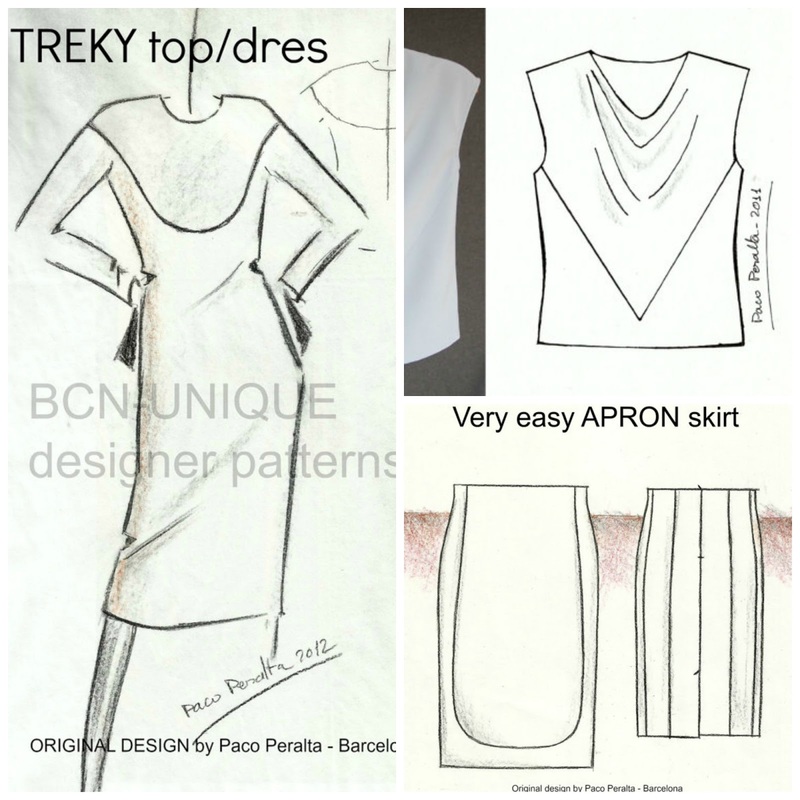 Each pattern is hand drawn by Paco and comes delivered on vellum. 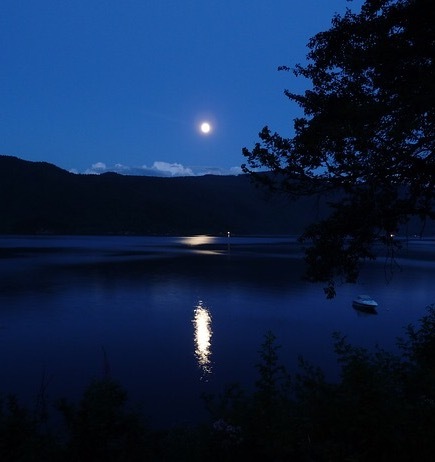 A treat for the eyes, hands and mind. Below are a few that I have made and love. All can be found in his Etsy shop HERE. I have made the blouse on the right, the draped blouse, a number of times. It's a great, go with anything piece. So yes, a friend's good fortune is a gift, a blessing, as Paco's patterns are now available without the high shipping fees from Spain. But, if you don't mind a little splurge, by all means, order one of his original patterns as the experience is well worth the shipping fee. I'm looking forward to making up Vogue 1526. 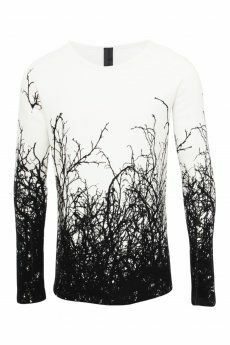 It will be the perfect addition to my fall/winter wardrobe. Congratulations Paco!!! I could not be happier for you. I finished up my Stella Bag for the sew along last week. WooHoo!!! You're getting the first sneak peek! I think she is so pretty! Next week I'll include pictures of me carrying the bag to give you a better idea of the size. In the mean time, pop over to Swoon Patterns. If you like the Stella Weekender Bag, I bet you'll like lots of the other patterns too. This week's post is up on the Sew News blog and you can find it HERE. We are diving head long into all the pockets. There's a front zippered pocket. In the post I talk about reinforcing the bag prior to inserting the zipper. PLEASE do not skip this step. We also attach the handles as the handles should be attached prior to putting the bag all together. I did not use the stiff interfacing in my handles that the pattern calls for. I don't like anything in my hand that feels too hard. Just a quirk. So I used the fusible cotton interfacing on both sides of my handles and I feel that the handles have plenty of stability. I took Bunny of La Sewista's direction on reinforcing the handles. Not only does it help to secure the handles, I think the "x" design looks rather pretty as well. Thanks Bunny! You can take a glimpse of Bunny's Weekender Bag HERE, HERE, and HERE. When I was asked to put together a year of sew alongs for Sew News, I knew that they would like a bag included in the line up, so I began to search for something that I thought was special. For the life of me, I don't remember how I found Swoon Patterns, but I'm glad I did. The patterns are well thought out and the results are amazing! If you are making a weekender bag, I hope you too are enjoying the process. 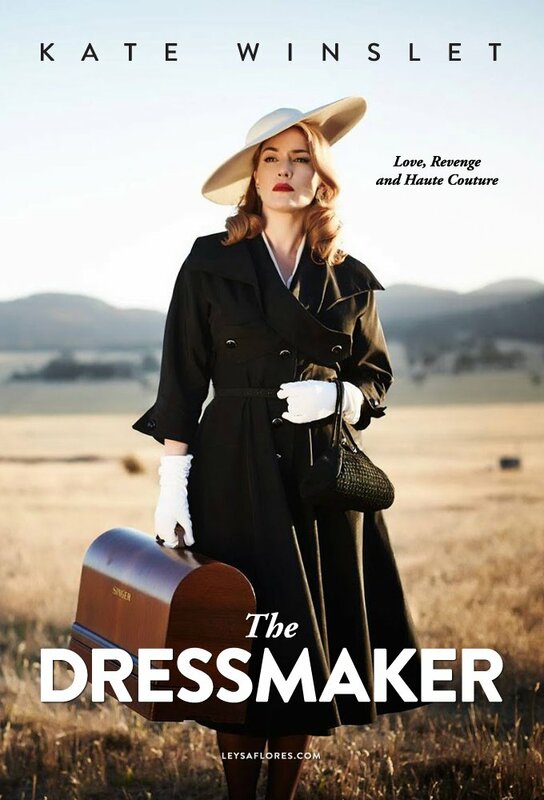 Last week I had the opportunity to see the movie, The Dressmaker, starring Kate Winslet. I posted this picture last week when I talked about my experience as I just love it. 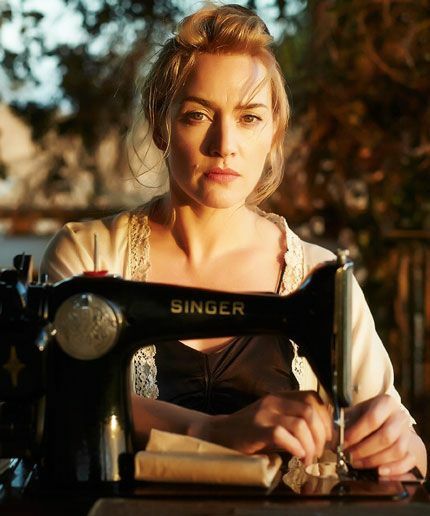 One of the things I loved about her character was that she was confidant in her skills as a dressmaker. She knew that she had the power to not only make a garment, but transform. And that's what all of us do. As I thought more about the movie, I thought about some pictures that I have saved, so I thought I would share them today. A bit of a celebration of this wonderful skill. Lucy from I Love Lucy. If you've seen the episode, the effort did not turn out so well. The story was that her husband Ricky was upset about how much she was spending on clothes. So she decided that it couldn't be that difficult to make a dress. The result was a disaster. Just proves that it isn't as easy as some may think, and it does take skill that is honed over years to produce a truly beautiful garment. 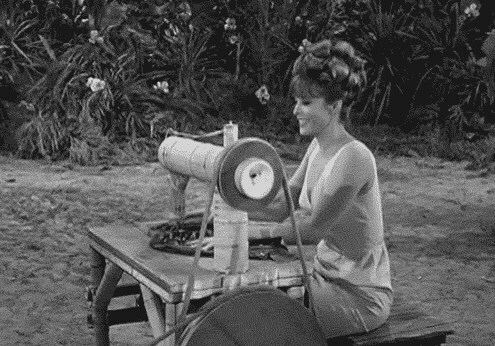 Ginger from Gilligan's Island. If you've seen the show, you know that a group went out for what was supposed to be a 3 hour tour and ended up on a deserted island. 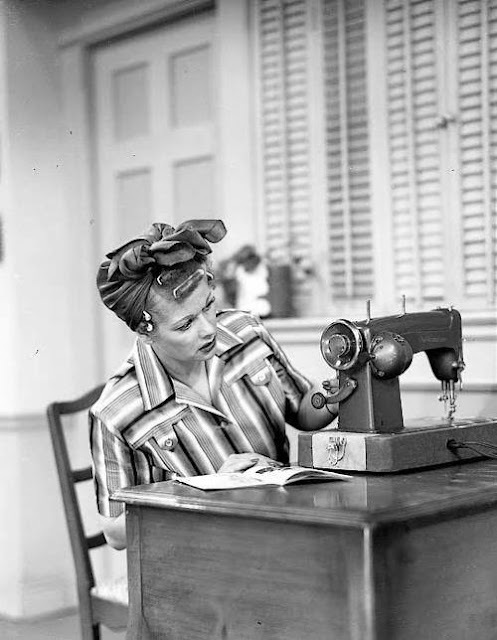 They were quite the ingenious group, but where did she get the fabric??? John Lennon. I would love to know the story behind this picture. If anyone knows, please leave a comment and share. Quite a long way from the pretty Hollywood pictures, but I love this picture. Bras she has made all draped around her and ready to be sold. I think this picture is priceless. An art being handed down from one generation to another. 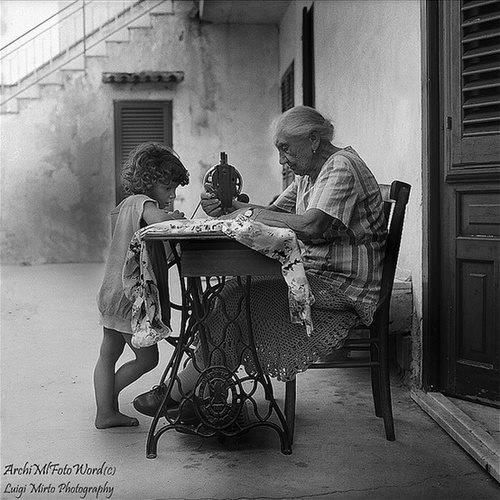 Reminds me so much of my time with my grandmother. 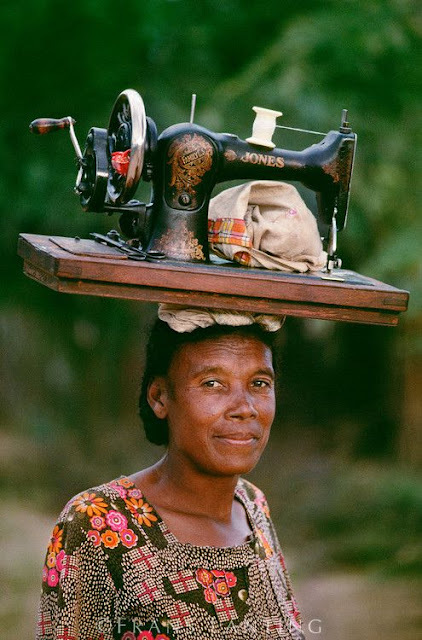 She too had a treadle machine. A woman and her machine. It's amazing to me that she can balance it on her head! I think the machine represents so much more than just a means for making clothes, it's also a means of income, and thus, freedom. I especially like the picture below as it states what all of us are, we are quite simply, artists. We have skills that are either being honed, or have been honed over many years. What we do is no longer about making clothes to save money, it's about expression, and it's about freedom. We make our own choices. If you have a chance to sit down at your machine today, take a moment to look at your machine and realize that it's not just a machine, it's a tool that we use to create, transform, and bring beauty into our world. Not only do I find some wonderful recipes on Pinterest, sometimes I also find a great inspirational story. The recipe I'm sharing today comes from Dara of Cookin Canuck. She's a Canadian who now lives in the United States. 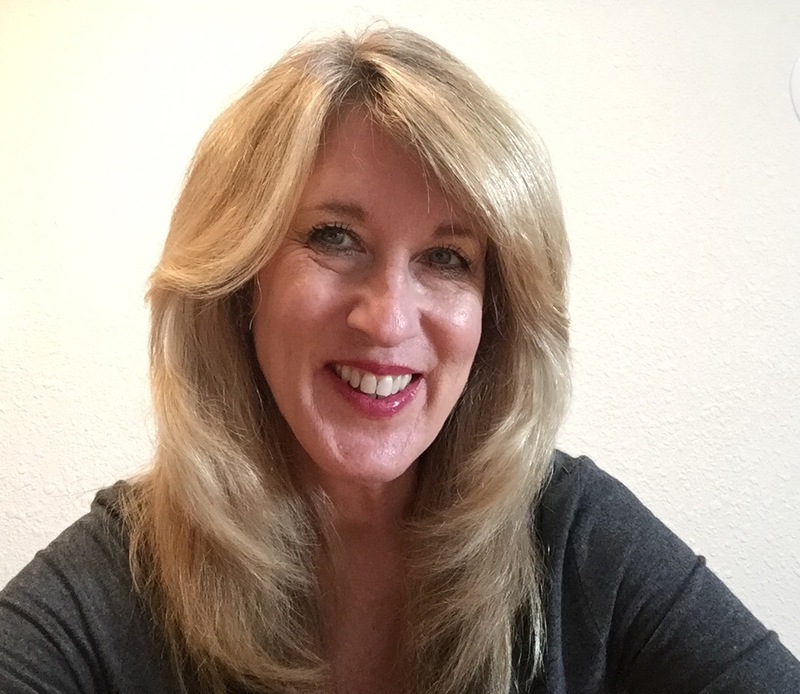 Not only does she have some wonderful recipes on her blog, her weight loss success story is very inspirational. No magic, just changing her diet and adding a good workout routine. You can read her story HERE. The temperatures are beginning to change here in Chicago, and while I enjoy soup year round, I especially enjoy having soup on hand for a quick lunch and an easy supper. This one appealed to me because of course I love vegetables, and I especially enjoy barley. I also love throwing all the ingredients in a slow cooker and going on about my day. This recipe has carrots, sweet potato, green beans, celery, onion, canned tomatoes, and barley. The result is a very satisfying bowl of soup. You can find a printable version of the recipe HERE. I will make a couple of changes the next time around. The addition of a bay leaf would be nice, and 8 ounces of sliced mushrooms would also be a great. Mushrooms and barley just seem to go together to me. Hope you'll give the recipe a try. You might want to make up a pot and invite a few friends over for a bowl. I think they'll love you for it. I know I would :) And If you want an easy dessert to add to the meal, try out the Apple Tart I posted HERE. I had the wonderful opportunity to see a screening of The Dressmaker on Wednesday evening. While the clothes are central to the movie, it's about so much more. A bit of a Shakespearean tale of love and revenge. But, it also is a lesson on hate, jealousy and how both can destroy those who seek to destroy another. Kate Winslet plays the role superbly. I loved that she is not this tiny little wisp of a woman, but a woman with curves, and it's the curves that really make the clothes come to life. 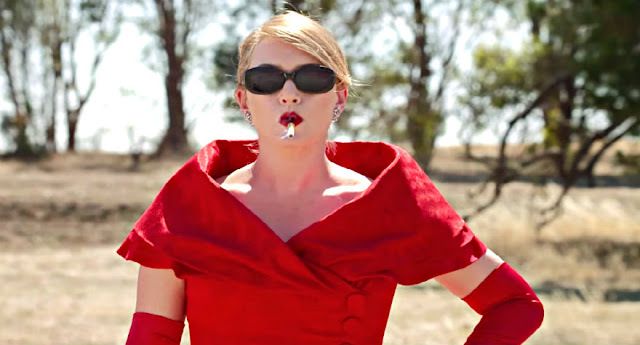 There's a line early in the movie where one of the town's people says, "a dress can't change anything." Kate Winslet's character replies, "watch and learn." I love this picture. The power of a sewing machine and how it can not only transform a piece of fabric, but a person's entire life. I've included the trailer, In my opinion, the trailer really doesn't capture the true essence of the movie. There's a motto that I live by, "No weapon formed against me will prosper." What I have learned, is that for a period of time, those who hate us and want to see ill come our way may seem to have the upper hand. But, in time, in time, right will prevail. The truth will be made known. And this is the true essence of the movie. The movie is funny, dark, haunting, sad, and uplifting. This is a movie that I look forward to watching again. It's a rich story that I think will have a little something different to say each time I see it. It seems that when life deals up something a little difficult, it always gives you something sweet as well. Before I explain, I would first like to say thank you to so very many of you who left a note on THIS post where I talked about the difficulties of the summer and the negative Wednesday Showcase experience. Your well wishes, support, and concern so very deeply touched my heart. Thank you really is not enough, but I do thank you. I received a message from Kim of The Material Lady letting me know that she and "The Management" were planning a trip to Chicago. I offered an airplane ride as I think that seeing Chicago from the air is just the best. They jumped at the chance! You can read about their experience HERE, and see a few pictures as well. 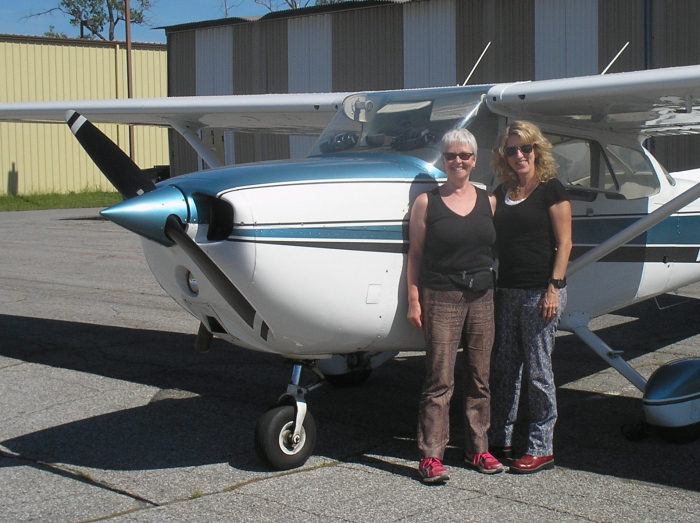 The picture below was taken post flight, so they survived! A word about Kim. See the smile on her face. It's not just a smile, it's who she is. Energetic, fun, and so full of life. She's preparing for a half marathon and I wouldn't be a bit surprised if she doesn't pass up many who are half her age. Now I just have to share the incredible gifts she brought along. Oh my, it was better than Christmas! 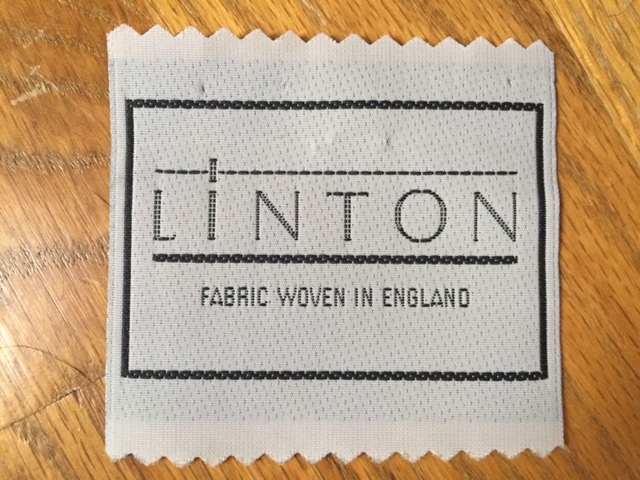 A gorgeous piece of Linton fabric woven in England!!! Either side could be used, but I told Kim that I like the hairy side ;), which you see in the picture below. It even came with a label. There's enough to do something truly special, I just don't know exactly what yet. A giant thimble all the way from the Victoria and Albert Museum gift shop. Once I finally get my studio in shape, this will be the loveliest reminder of our visit. There was a piece of candy, a big piece of candy actually, and a mug from their hometown. All such beautiful and completely unexpected gifts. I've thought more about the Wednesday Showcase posts and what they have meant to me over the years. I have met some of the most wonderful people. Taking the time to really go through someone's blog, you get a very special glimpse of not only what they like to make, but who they are, and quite honestly, I don't think I want to give that up. For now though, I am going to continue to take a little break. As I said, I am working on something that has been on my mind and heart for quite some time and I think you will enjoy it. I hope so anyway. I just couldn't resist the subtle reference to Marlon Brando yelling for Stella in the movie, a Street Car Named Desire :) This Stella has a much brighter, and happier story, the Stella Weekender Bag from Swoon Patterns. The bag I made for the magazine will soon have a new home. My niece was over this past weekend, loved the bag, so of course nothing will make me happier than to send it home with her. She loves anything vintage, and since this bag is made out of barkcloth, it has a bit of a vintage vibe. Look closely at the stitching she did on the handle. I really like the added reinforcement that she did. When Bunny told me that she was working on the bag, I asked her if she would share some of her thoughts. You know, two heads are always better than one ;) One point that she brought up is that while the Stella bag is perfect for the addition of piping, no instructions are given in the pattern. So in this week's post, I tried to walk you step by step through the process of how to make piping and how to add it to the bag, as well as how much piping you will need. Bunny also found a wonderful group on Facebook called, Swoon Patterns Group. It's a closed group, but all you have to do is ask to join and you'll be accepted. 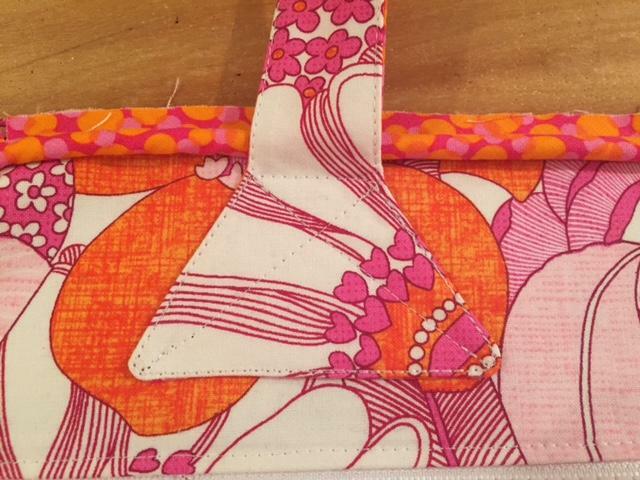 There's a lot of great info on the page about all the wonderful bag patterns from Swoon. In fact, the devotees call themselves "Swooners." What fun! I added a little info on a cutting aide that Bunny shared and you can find directions on how to find it on the post I did for Sew News. I'm excited about my new bag. I had just enough fabric. This one is going to be really bright and fun. If you've never made piping, I encourage you to give it a try. It's fun to make, and it really adds such a nice touch to bags and clothing alike. If you are making a bag, let me know and send a picture, I would love to see and post your work! 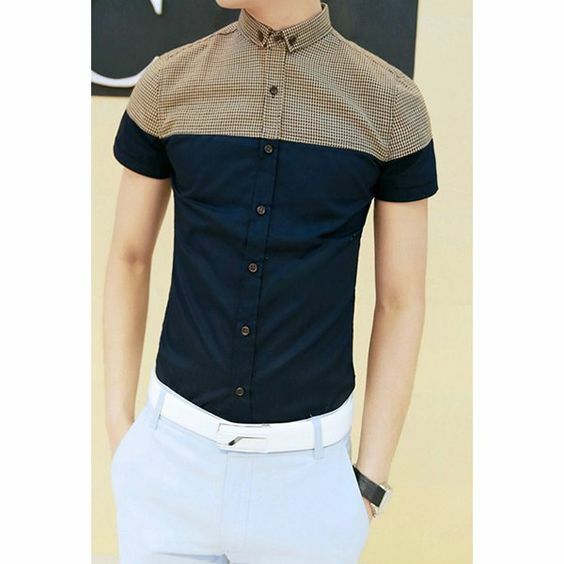 While many of us have struggled with men who are happy to wear clothes that are far from inspirational, men's clothing can offer some fabulous ideas that we can incorporate into our own wardrobes. 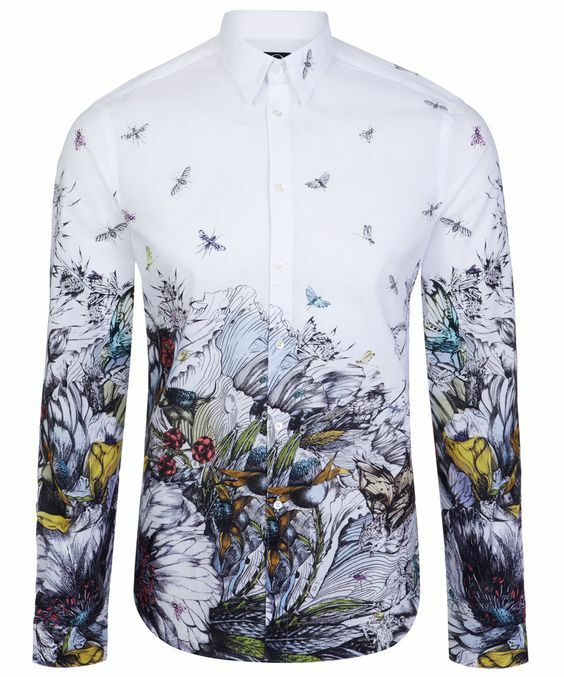 I came across this Alexander McQueen men's shirt on Pinterest and thought it was amazing. 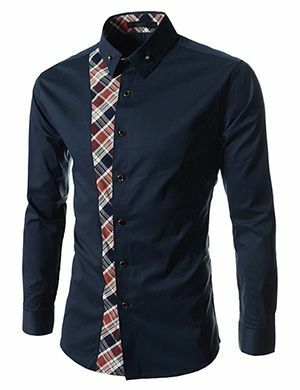 What I especially like is the idea of using a border print in a regular button down type of a shirt. 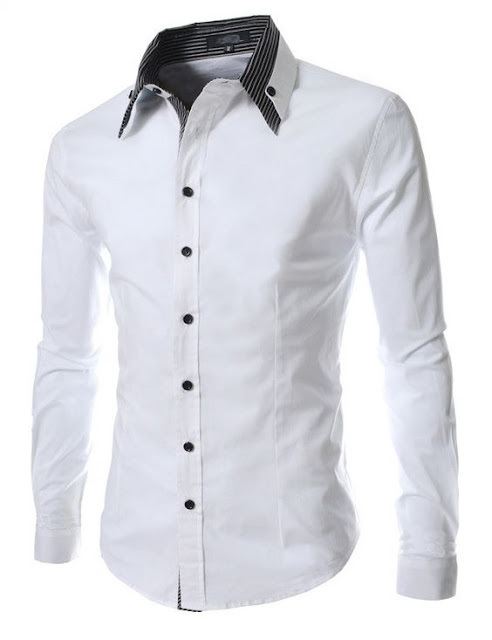 Makes a basic shirt really special. Here's another. This time the border print is used top down. Even in a t-shirt the border print looks great. I loved the color blocking in this shirt. 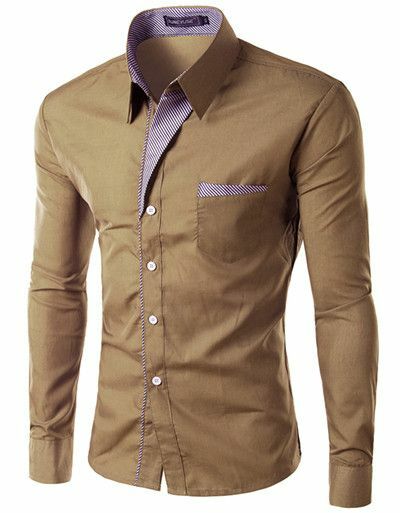 Another color blocking idea. Love how it was taken into the sleeves. 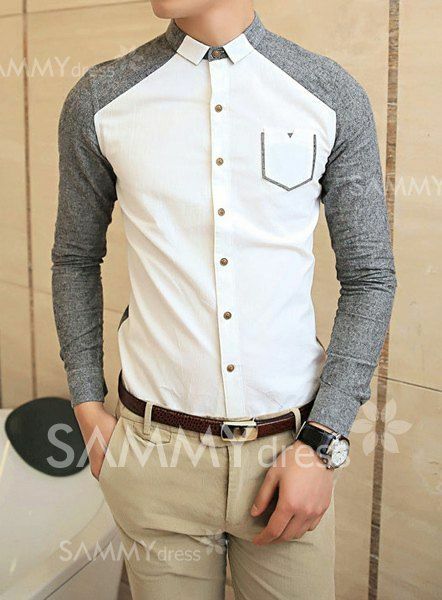 A basic shirt that was given the look of a raglan sleeve. Here I love how the color blocking was taken into the collar. 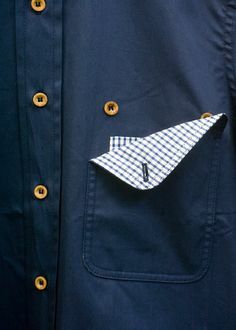 The front pocket also offers an interesting design detail. What a great use of an old tie. Check out the detail on this collar. And finally, I love this shirt. Notice the flange on the front tab and how it was echoed in the pocket. So, ideas for you, and if you are lucky, maybe a few ideas for your husband too!!! Go 24 hours without complaining, not even once...then watch how your life begins to change. Some years back, sundried tomatoes were everywhere. Regardless of the restaurant, it seems that every chef found some way to incorporate them into a recipe. Now it seems that they are no longer the hot item, and in fact, I rarely see them mentioned. But, I LOVE sun dried tomatoes. So, if you like them too, here's a super quick and easy pasta dish that not only makes up for a quick supper, I think guests would enjoy it as well. While bringing water to boil for pasta, heat olive oil. Add chopped onions and saute until tender. Add garlic and saute another minute. Add julienned sun dried tomatoes. Reduce heat to low, cover and simmer until pasta is ready. Prior to draining pasta, add 3 tablespoons of pasta liquid to sun dried tomato and onion mixture. Place pasta in a serving dish and top with the sun dried tomato and onion mixture. Top with crumbled feta cheese. Toss all together. Cheese will begin to melt and become creamy. Top pasta with fresh chopped chives and roasted, chopped walnuts. There's little that I enjoy more than a satisfying dish of pasta, a lovely glass of red wine, all served and enjoyed in the garden. Just the loveliest ending to a day. Hope you enjoy if you give it a try!